We used a range of communication tools for this project, as we wanted them to be accessible and relevant to all groups on the estate. We think that it’s important to make sure that you use as many different ways of communicating with people as possible so that your communications and promotions reach everyone on the estate – not just those with internet access. Door-knocking is, by far, the most successful way of getting in touch and connecting with people. Unfortunately, it is also extremely time consuming. Although we were able to do a lot of this at the start, we could not sustain it throughout the project. We also faced logistical challenges in accessing the flats through communal doors, and we missed many tenants who were out during the day. We would definitely have liked to have had more time to devote to knocking on people’s doors and talking to them face-to-face. An email discussion group is a useful way of reaching people. However, it can be problematic as it tends to polarise opinions and can foster disagreement and, of course, is not accessible to those without internet access. Our estate already had an established email group, called ‘Shout’ used by about 80 members. We did use it to post items and promote events, but it wasn’t the most successful form of communication for us for these reasons. 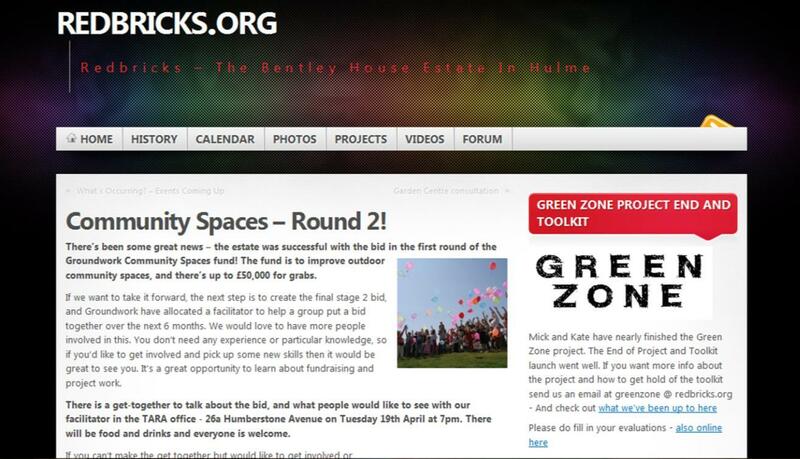 Setting up an estate website can be a good way of publicising events and communicating with residents. Ours was hosted on WordPress and was very easy to use and update. We used it to post all our news, and it was easy to make things visually attractive. Throughout the project we got an increasing number of ‘hits’. 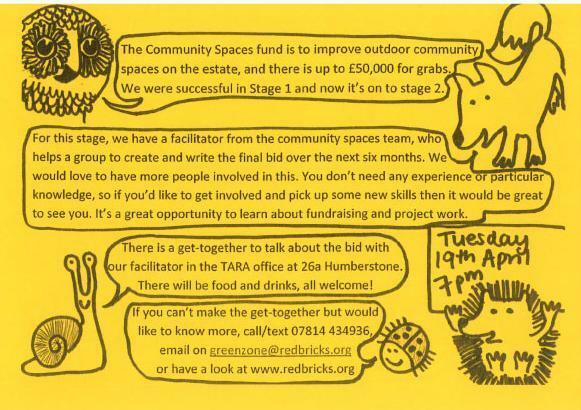 Instead of leaving control over the site to the paid staff, we encouraged residents’ groups to use it to update and promote their own news and events. See our case study on the Community Website. We also used various forms of social media to help with promotion of events, including ‘facebook’ and ‘twitter’. Given how many people are connected on facebook, it is a valuable resource for connecting your group to people. We created a link whereby posts for events on the website were automatically put onto twitter. Social media is a great quick and free way of getting in touch with people. For events that we knew specific people would be particularly interested in attending, we also sent personal invitations through emails, phone calls or text message. Obviously, this would not work for large numbers of people, and it does miss out people who we have not already reached. We discussed creating a database of people to contact, but we could not resolve all of the data protection issues, and we were uncomfortable ‘handing over’ the details of many people after we finished, so we did not continue with this option. For a long-running project it may have been worth creating a simple list of people to contact in bulk. Even a successful website and newsletter groups cannot replace paper communications altogether. 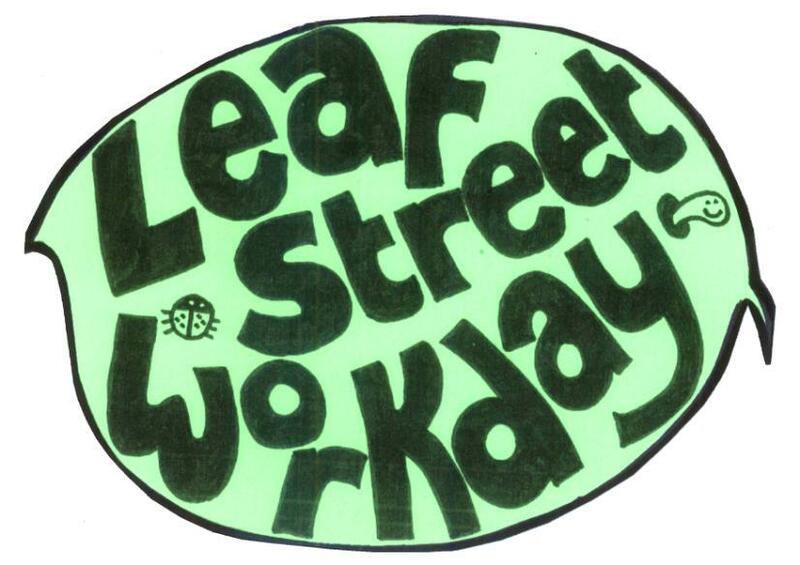 Flyer for Leaf St workday where we spent time cutting out a leaf shape. Make sure that the design of your paper communications is appropriate for your audience. We found leaflet designs had a big effect on how many people attended events and how successful they were. 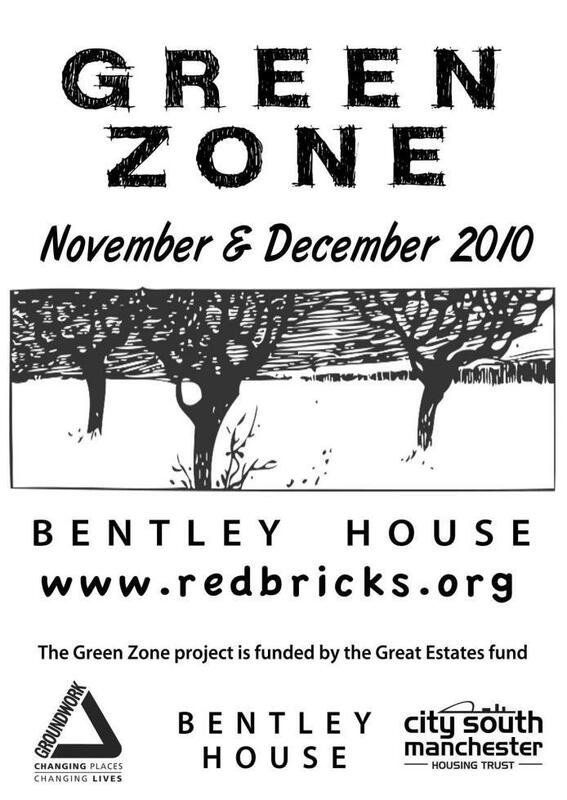 Our first flyer was designed in keeping with the City South corporate marketing style, but it was very badly received on the estate. Following fliers were designed differently, were much less glossy and were received a lot better. Update booklets can also be useful ways to let people know what’s going on. We published an update booklet every couple of months, with lots of images and a handmade look. Posters are also an eye catching way to promote events. For each event we put up posters in the blocks and communal areas. Be inventive about your promotional materials. For important events, we flyered every door, or sent picture postcards. The most successful materials were often the simplest to create: hand drawn images or simple pictures on coloured card, without excessive detail or information. Learn from your mistakes! We tried sending a few things together to residents in envelopes, but many residents just threw the envelopes away thinking it was junk mail, so we stuck to sending things that people were immediately attracted to.